SIDs AGM will be Tuesday 23rd April 2019 in the Skittle Alley at the Red Lion to start at 7.30pm. Please do try to come along, we really do need to have your views and support for our drama club. Come along and enjoy village cricket at its best! Click here to download full information of our Sponsorship schemes. Admission £7, including interval refreshments and programme. Sunday September 15th. Book the date in your diaries! 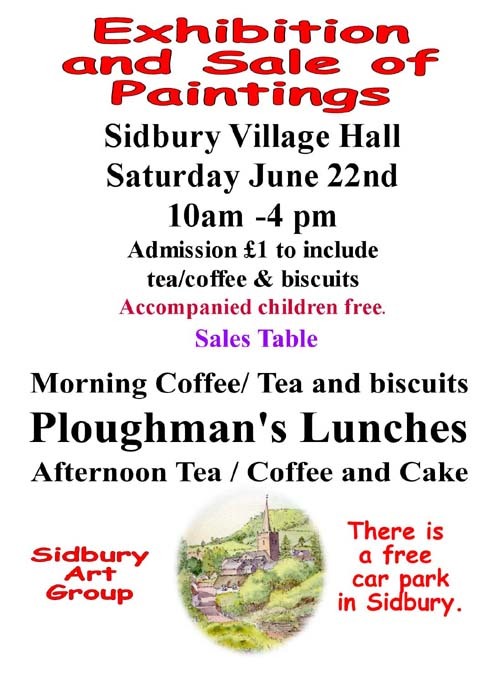 Starting and finishing at Sidbury Manor. £10 children & £15 adults.